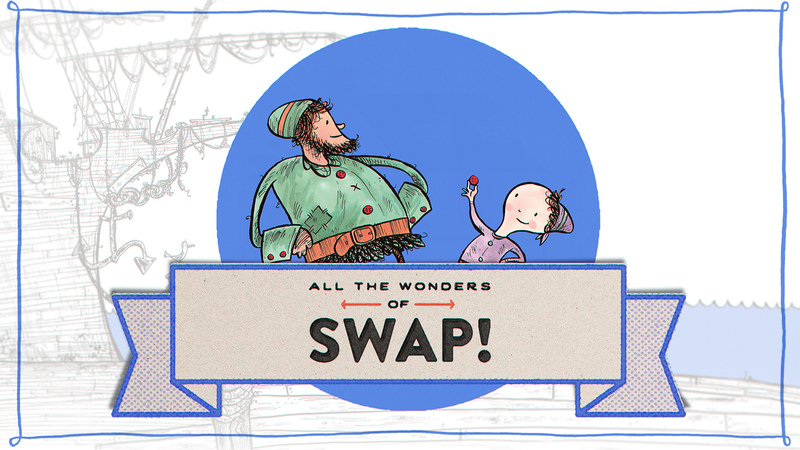 Take a peek inside the book to learn more about what makes SWAP! such a great adventure. CLICK HERE to read and explore. 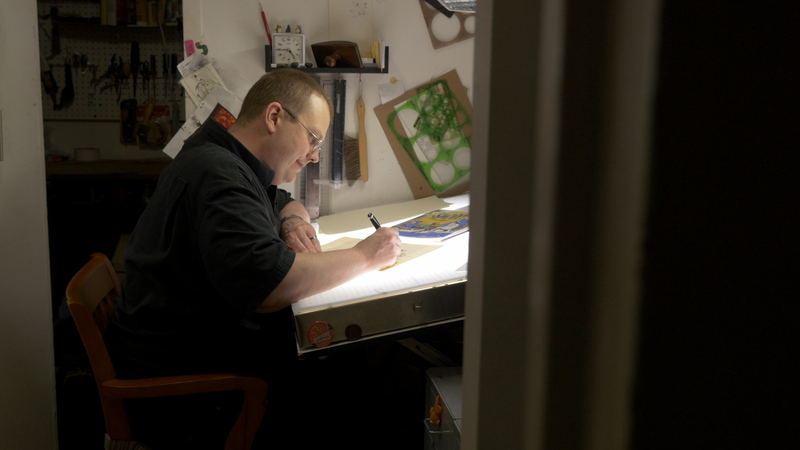 Author/illustrator Steve Light gives insight into his creative process, discusses the drawing tools he used as a child, and offers wonderful advice for any aspiring artist. CLICK HERE to watch. 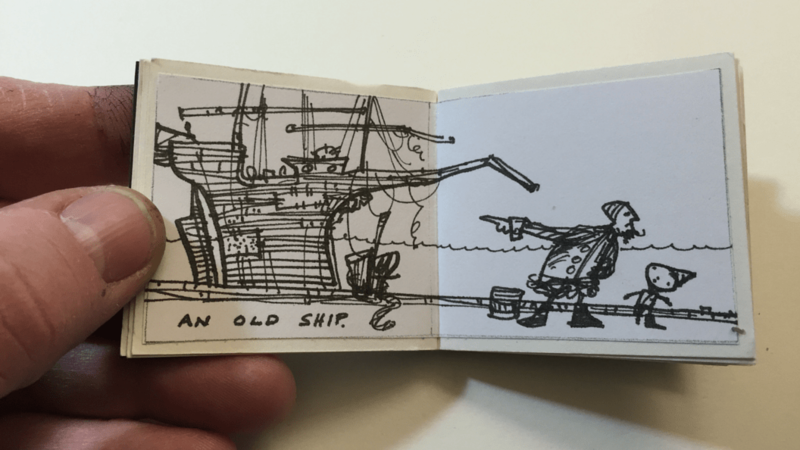 Create your edible pirate ships, but first you’ll need to swap for your supplies! CLICK HERE for instructions. 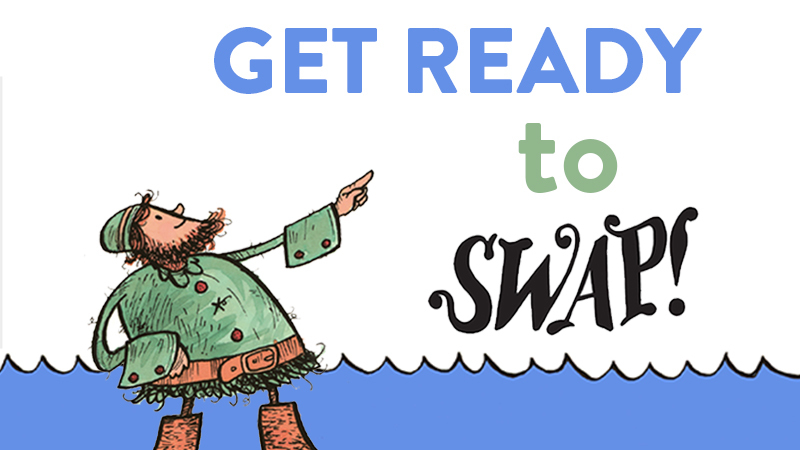 Go beyond the book with seven Swap! 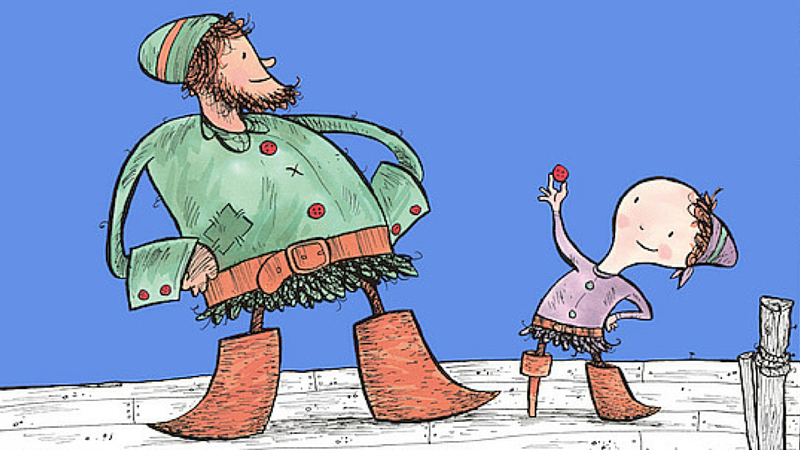 activities that support learning and creativity by exploring the book’s big ideas. CLICK HERE to get started! 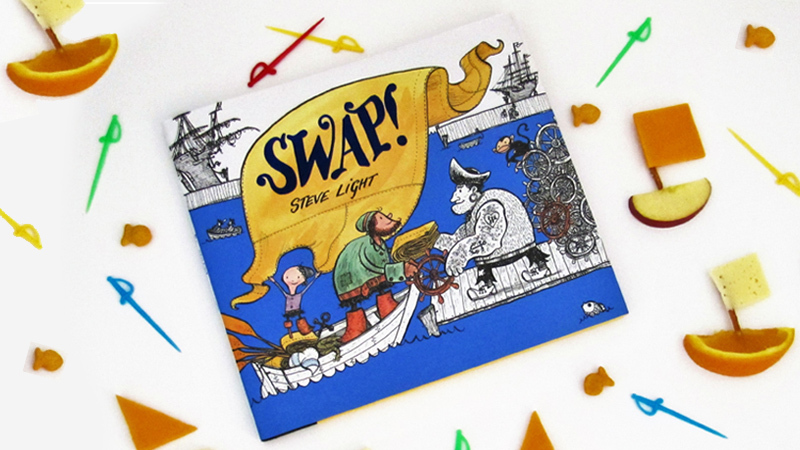 Steve Light is the author/illustrator of SWAP! and several other children’s books. 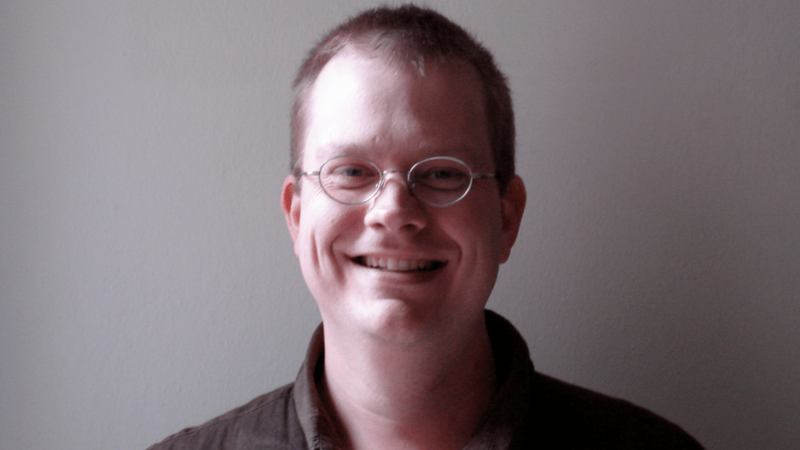 Listen to his chat on the All The Wonders podcast to learn about the inspiration behind SWAP! CLICK HERE to listen. Follow the development of Swap! from sketch of color blocking to selection of just the right fountain pen nib. CLICK HERE to explore. Win this gorgeous ink illustration from Steve by entering our SWAP! raffle! It’s a big one! Best of luck on the giveaway!